An Arlington County police officer was dragged several feet Wednesday after a driver he was attempting to stop tried to flee the scene, police said. The officer stopped the suspect for a red light violation along Route 50 near Courthouse Road Wednesday afternoon. At some point, the suspect began to accelerate with the officer's hand still in the vehicle's window. The officer was dragged for 10 to 15 feet. He is expected to be okay. The suspect led police on a brief pursuit up and down streets in the area until the two driver's side tires went flat and the car came to a crashing stop. The 22-year-old suspect was finally cornered after continuing to flee on foot. In the car, police found a gun. 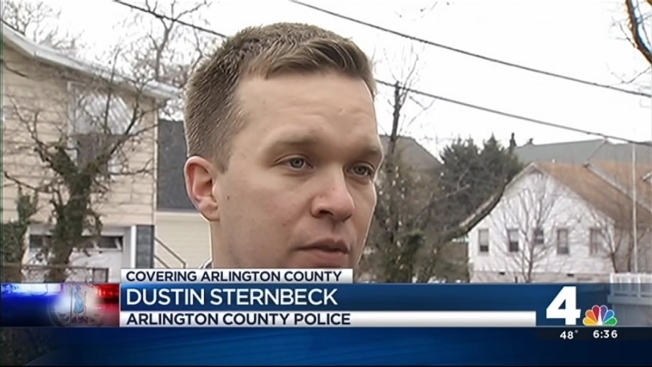 "Right now we're not sure if that is the reason why the individual fled initially or if he could be wanted out of another jurisdiction for a number of things," said Dustin Sternbeck of Arlington Police. He's charged with carrying a concealed weapon, assault on police and reckless driving among other things.